In an old-fashioned website, a web designer creates a bunch of HTML files and drops them into a folder on a web server. When someone visits one of those pages, his browser renders that same HTML file as a web page. WordPress works a little differently—it builds its pages in real time, as you’ll see next. In a very real sense, WordPress is the brain behind your website. When someone visits a WordPress-powered site, the WordPress software gets busy, and—in the blink of an eye—it delivers a hot-off-the-server, fresh new web page to your visitor. • A database. This is an industrial-strength storage system that sits on a web server; think of it as a giant, electronic filing cabinet where you can search and retrieve bits of content. In a WordPress website, the database stores all the content for its pages, along with category and tag labels for those pages, and all the comments that people have added. WordPress uses the MySQL database engine, because it’s a high-quality, free, open-source product, much like WordPress itself. • Programming code. 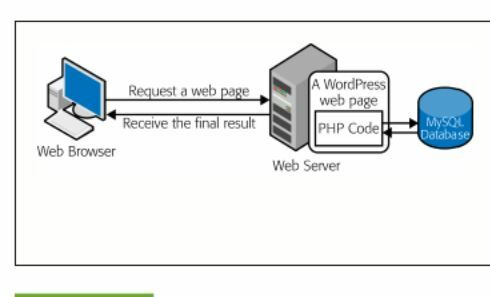 When someone requests a page on a WordPress site, the web server loads up a template and runs some code. It’s the code that does all the real work—fetching information from different parts of the database, assembling it into a cohesive page, and so on. When a browser sends a request to a dynamic website, that request kicks off some programming code that runs on the site’s server. In the case of WordPress, that code is known as PHP, and it spends most of its time pulling information out of a database (for example, retrieving product info that a visitor wants to see). The PHP then inserts the information into a regular-seeming HTML page, which it sends back to the browser. When a visitor surfs to your site, WordPress assembles that content as a made-to-measure web page. Because WordPress is a dynamic environment (using a database) —it creates web pages on the fly—it provides some useful interactive features. For example, when visitors arrive at a WordPress blog, they can browse through the content in different ways—looking for posts from a certain month, for example, or on a certain topic, or tagged with a certain keyword. 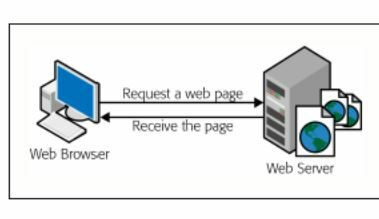 Although this seems simple enough, it requires a live program that runs on a web server and assembles the relevant content in real time. If you use WordPress to build your site, you don’t need to touch a line of code or worry about defining a single database table. Instead, you supply the content and WordPress takes care of everything from storing it in a database to inserting it into a web page when it’s needed. WordPress wants to adapt itself to whatever design you have in mind, and it achieves that through a feature called themes. Basically, themes let WordPress separate your content (which it stores in a database) from the layout and formatting details of your site (which it stores in a theme). Thanks to this system, you can tweak the theme’s settings—or even swap in a whole new theme—without disturbing any of your content. 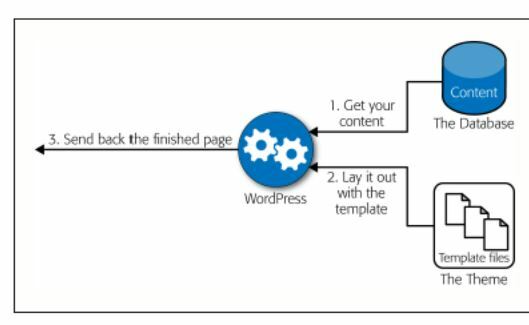 When you visit a page from a Word-Press site, WordPress combines the content (which it stores in a database) with formatting instructions (which are stored in the theme’s template files). The end result is a complete web page you see in your browser. The dashboard is the nerve center of WordPress administration. When you want to add a new post, tweak your site’s theme, this is the Dashboard is used to edit & add to the site. The dashboard is like the window you see in MS Word with menu bars, etc. Used to create pages, post, use plugins & more. The Update button sends the new edit to the website & is immediately seen by visitors. This entry was posted in Get started, Tutorial and tagged begin, diagrams, intro. Bookmark the permalink.